I am so happy to share the new Chick-fil-A CFA One app with y'all!! We've been getting little hints about it for a while, but today's the big day, it's finally here! So what is CFA One? Well, for starters, you can order on your phone and skip the lines inside and at the drive thru. That is a huge plus! Our local CFA's ALWAYS have lines around the building - it doesn't matter when you go. So using this app will make it fast and easy to run inside and grab your order, without the wait! You have the option to customize your items and the app will remember the customizations for your next visit. 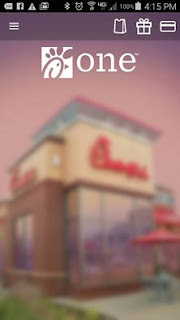 You can use the app to pay for your purchases, and each purchase will get you closer to receiving free Chick-fil-A food rewards! There is even a free sandwich reward just for downloading the app and signing up! Let me know if you've tried the app, and what your experience has been. 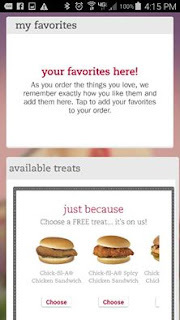 We are at Chick-fil-A all the time, so this app will be a big timesaver for our family. I'm excited to give it a try - hope you will too!